Elk Prairie Vineyard hugs Fruitland Ridge in Southern Humboldt county. 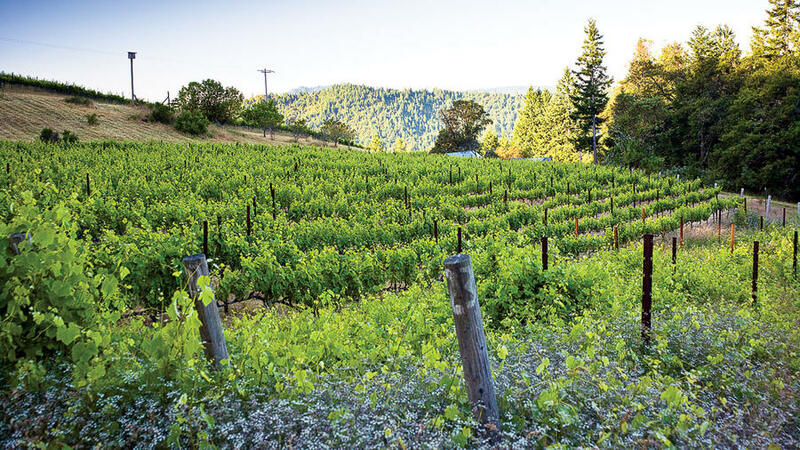 From redwood groves in the south to funky fishing towns in the north to mountain vineyards in the east, Humboldt can be navigated—and the wines that have quietly come on line here in the last 10 years can be tasted—in one grand 3-day weekend. DAY 1: Southern Humboldt Redwoods overshadow pocket vineyards where Interstate 101 snakes in from Mendocino County. An eclectic mix of a nursery, art gallery, wine bar, and cafe. Buy an olive tree, taste stone-fruited Briceland Arneis or earthy White­thorn Pinot, and order crêpes. $; tasting from $4; closed Sun–Tue; 1055 Redway Dr., Redway; 707/923-2748. Aptly named, these vineyards are almost completely encircled by the Eel River. Amazingly, the likes of Cabernet, Merlot, and Syrah are ripening on this chilly flat. $5.50 tasting; 12990 Avenue of the Giants, Myers Flat; 707/943-9907. This tasting hut high above Humboldt Red­woods State Park yields wild views and concentrated Pinot Noir. By appointment; 707/943-3498. Delivery will never be the same again after a wood-fired pizza at the Groves in Southern Humboldt county. The Groves Sister to Riverbend Cellars, the restaurant end of this winery complex serves up some of the best dinners in the county. 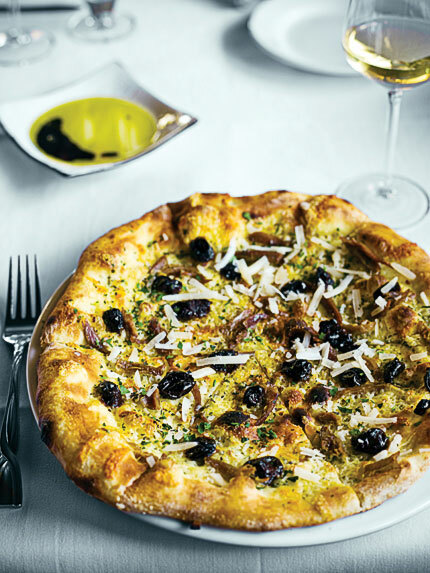 The duck two ways is addictive, and the wood-fired pizzas are memorable. $$$; closed Tue–Wed; 707/943-9930. Cozy cottages deep in the redwoods. From $105, including breakfast; 707/943-3011. DAY 2: Northern Humboldt Happy cows graze around college and beach towns, where rich agricultural land meets the sea. The new Robert Goodman Wines tasting room in Northern Humboldt county is home to a tasty Cabernet—from Napa Valley. But there are local Pinot, Zinfandel, and Chardonnay, too. New, artful college-town tasting room (a restaurant is still to come in this historic machine shop) is home to a tasty Cabernet—from Napa Valley. But there are local Pinot, Zinfandel, and Chardonnay too. Open late; 937 10th St., Arcata; 707/826-9463. Funky beach town mood; wines full of character, like Old Vine Zin, berried and peppery. $5 tasting; closed Mon–Tue except by appointment; 529 Trinity St., Trinidad; 707/845-5492. Restaurant 301 (at Carter House Inns) It’s hard to pass up the twice-baked soufflé with local Cypress Grove chèvre, and the wine list is a full evening’s reading. $$$$; 301 L St., Eureka; 707/444-8062. 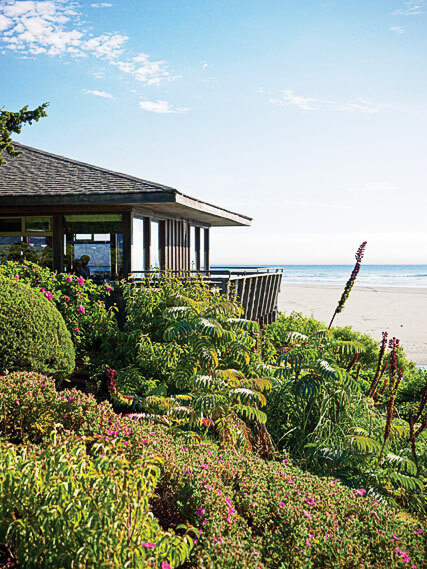 Claim the table in the window corner at Moonstone Grill in Northern Humboldt county for this compelling ocean view. Moonstone Grill Join locals around the bar for oysters, or claim the table in the window corner for a compelling ocean view. $$$; closed Mon–Tue; 100 Moonstone Beach Rd., Westhaven; 707/677-1616. The cove right below this Trinidad inn offers up your own colony of sea lions, and a good hot breakfast will make you forget that they barked all night. From $250, including breakfast; 2-night minimum; 800/677-7859. DAY 3: Eastern Humboldt Mountainous Willow Creek is the only official AVA in this huge county. Dogwood Estate Not in Humboldt but in the AVA, this Med-style tasting room in Salyer pours yummy “Mea Culpa”—Zin, Cab, and Merlot. By appointment; 530/629-2191. Sentinel Winery “Garage wine” is no trendy phrase here: Sip the pretty ’06 Pinot on the pocket patio overlooking the pocket Willow Creek vineyard. By appointment; 530/629-2338. The ridgetop winery barn of the Winnetts (right, page 40) overlooks the Trinity River. Try the citrusy Sauv Blanc, with a smidge of stone fruit. By appointment; 530/629-3478. 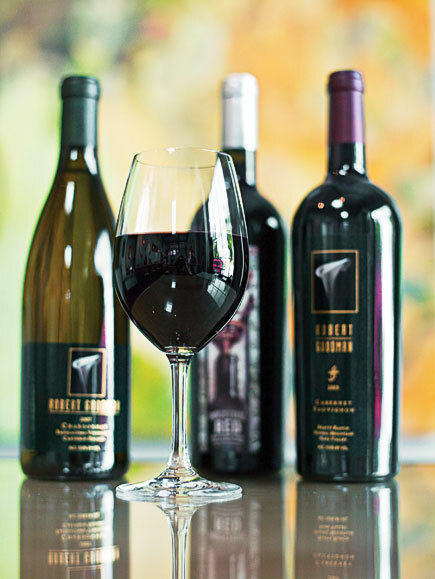 For more about Humboldt County wineries, go to .